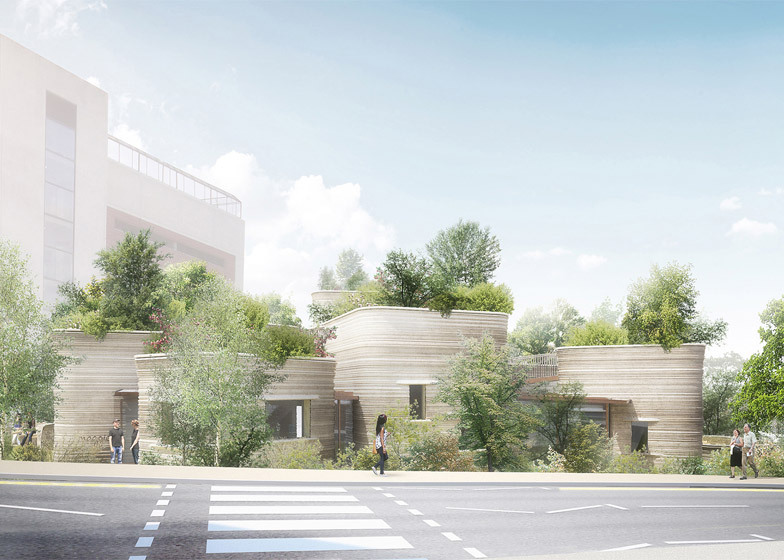 Thomas Heatherwick has unveiled more images of his plant-covered design for a Maggie's cancer-care centre in Yorkshire, England, which has now been granted planning permission (+ slideshow). 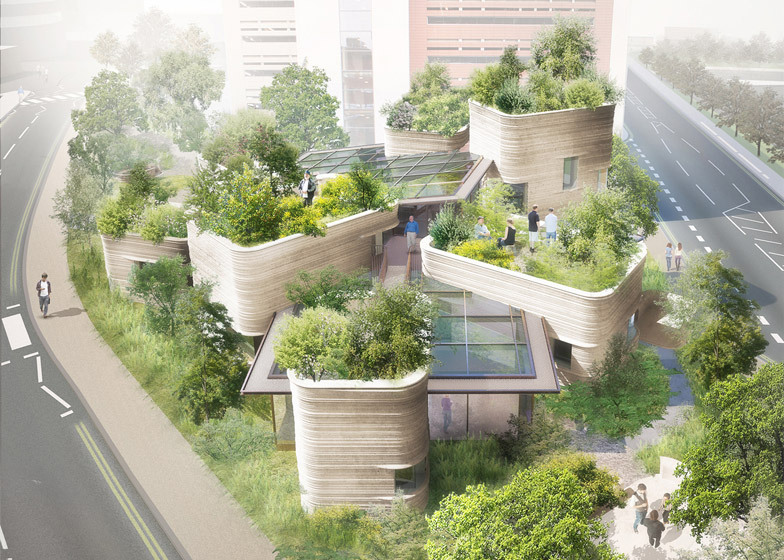 The London-based designer plans to create a building that looks like a group of giant pot plants in the grounds of St James's University Hospital in Leeds, providing a drop-in centre for anyone suffering from or affected by cancer. Described as "a collection of stepped planter elements", the design comprises a series of curved structures with plant-covered roofs. A mixture of private and communal meeting spaces will be framed within. Heatherwick – whose current projects include the Google headquarters and the controversial Garden Bridge – said the building will create a positive environment for users and staff. 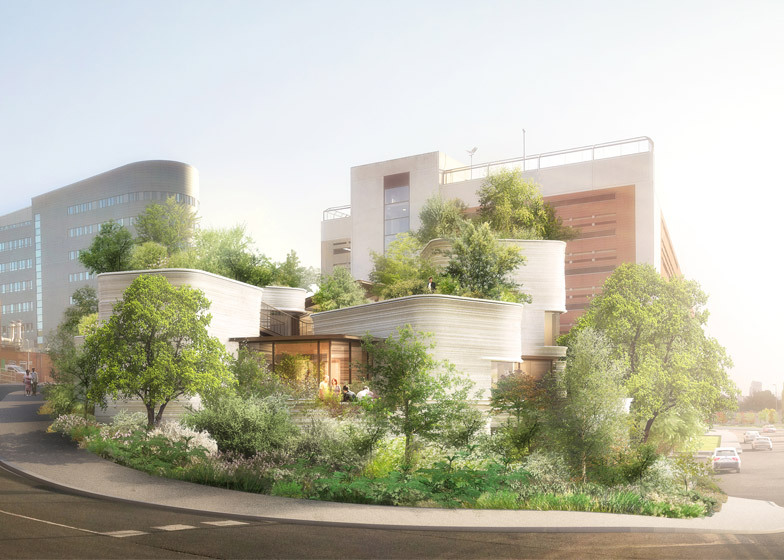 "The site is a small patch of green surrounded by the huge volumes of the existing hospital buildings," he said. "Instead of taking away the open space, we wanted to make a whole building out of a garden." Maggie's Yorkshire was granted planning permission yesterday, two months after the designs were first unveiled to the public. Maggie's chief executive Laura Lee said she is "absolutely thrilled". 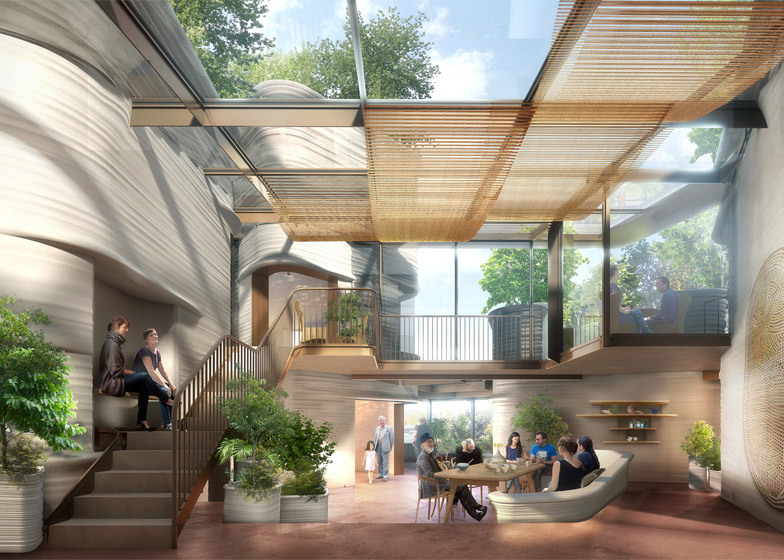 "Creating a calm and uplifting environment to enable us to be able to provide our programme of support to people living with cancer is incredibly important and Heatherwick Studio's wonderful design will allow us to do just that," she stated. The Maggie's cancer charity was founded by the late Maggie Keswick Jencks and her husband, architecture theorist Charles Jencks. There are now 18 centres in the UK, designed by architects including Snøhetta, OMA and Richard Rogers. 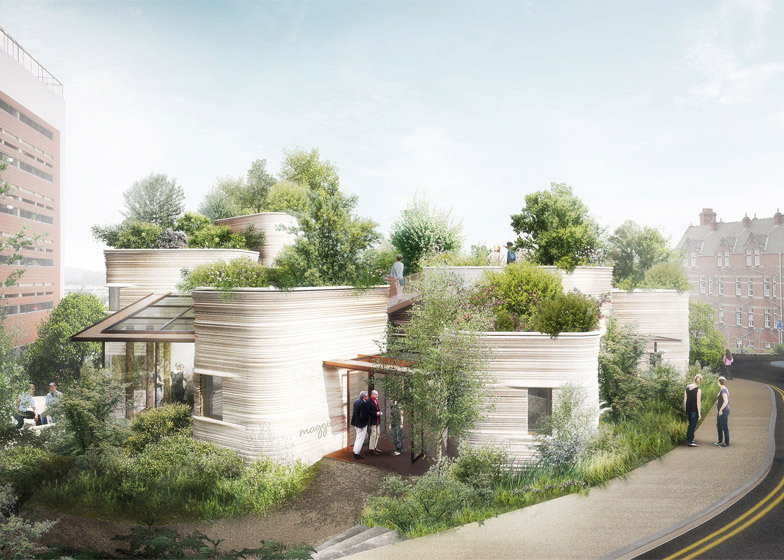 The Heatherwick-designed Maggie's Centre is scheduled to open in 2017. It will offer psychological support, benefits advice, nutrition workshops, relaxation and stress management, art therapy, tai chi and yoga. The surrounding gardens will be created by landscape design studio Balston Agius. Another centre is currently under construction at London's St Bartholomew's Hospital, designed by New York architect Steven Holl.